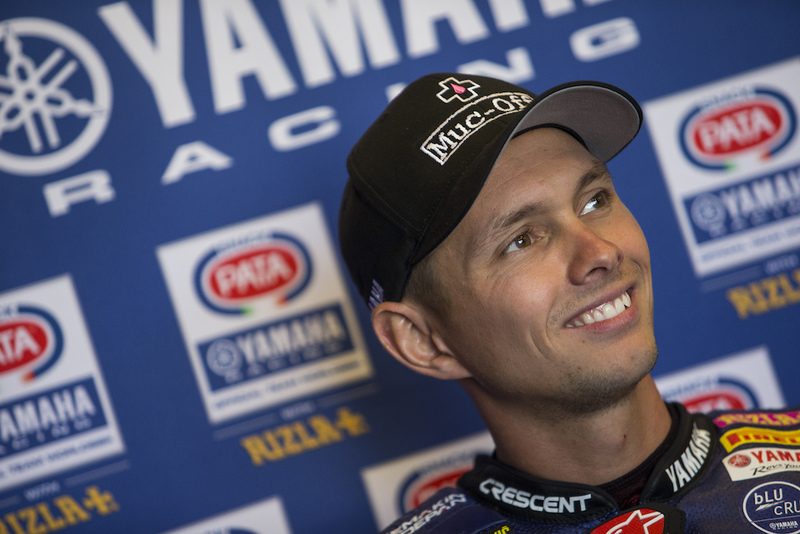 Michael van der Mark and the Pata Yamaha Official WorldSBK Team are looking to continue their recent excellent run of results under the Adriatic sun at Round 9 of the 2018 MOTUL FIM Superbike World Championship at the Misano World Circuit Marco Simoncelli this weekend. Michael van der Mark heads to Italy third in the WorldSBK Championship standings after missing out on the podium at Laguna Seca and is determined to fight back at a track where he came so close to securing victory last year. Van der Mark recorded an eighth-place finish in Race 1 at Laguna Seca after suffering from a lack of grip but bounced back superbly in Race 2 to enjoy an excellent battle with his teammate Lowes, before crossing the line in fifth. The 25-year-old Dutch rider was happy with the improvements made over the weekend and heads to Misano full of confidence after leading for the majority of Race 1 at the track last year, before being denied the chance of victory due to an issue beyond his or the team’s control. He recovered to finish Race 2 in a superb fourth place and with the improvements that have been made to the R1 in 2018, van der Mark is relishing the chance to battle for victory once more in Misano. He is currently third in the overall championship standings with 215 points, just 30 points behind Chaz Davies in second, and has already accumulated only eight points less than his tally for the entire 2017 (223 points) season after just eight rounds. The Misano World Circuit Marco Simoncelli is a fast, flowing, and technical track located next to the picturesque town of Misano Adriatico in the province of Rimini, North East Italy. A firm favourite with riders and fans alike, it held its first event in 1972 and the iconic track is 4.226km in length, consisting of ten right and six left-handed corners, plus has a start-finish straight of 510m. The Pata Yamaha Official WorldSBK Team will hit the track at 9:45 am Friday morning for FP1, while qualifying starts at 10:30 am Saturday with Race 1 at 1:00 pm and Sunday’s Race 2 at 1:00 pm.